Beautify your skin with the C Infusion Collection – DermaQuest’s C Infusion Collection features the ultimate powers of BVOSC which is a potent yet gentle and stable form of vitamin C. With abilities to add a stunning glow and vibrancy to your skin, the C Infusion Collection promises to energise and enhance. Infused with orange stem cells, our antioxidant-rich blend scavenges free radicals while tightening and smoothing your skin. Allow your skin to flourish with DermaQuest’s intense and nourishing formulas. Packed full with antioxidants, our foaming cleanser purifies and protects your skin while slowing down the effects of harmful free radicals. 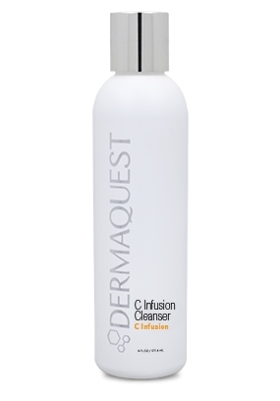 The C Infusion Cleanser will make you feel refreshed, energised and primed for home care or professional treatment, without stripping essential moisture from your skin. 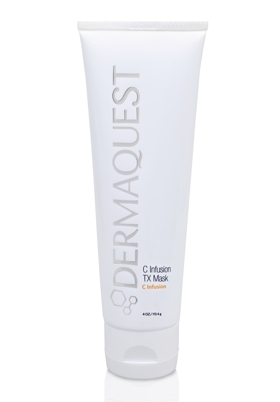 The C Infusion TX is an ultra-nourishing mask that is brimming with Vitamin C, Alpha Lipoic Acids, antioxidants and peptides. It is a silky smooth, anti-aging treatment that is gentle enough for all skin types. Instantly soothing and hydrating, this lavish mask fades fine lines and wrinkles, leaving you with luxuriously hydrated skin. 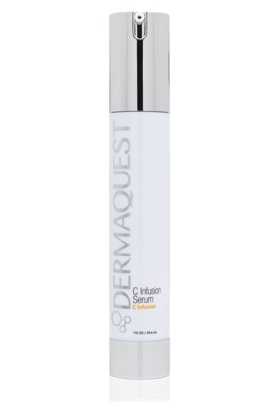 DermaQuest’s C Infusion Serum uses extra-active BV-OSC and orange stem cells that gently tone and tighten your skin, whilst protecting it from harmful free radicals that cause fine lines and wrinkles. A must have for all skin types, the C Infusion Serum will energise your skin and start to remove discolouration and future signs of aging with the power of nourishing antioxidants. 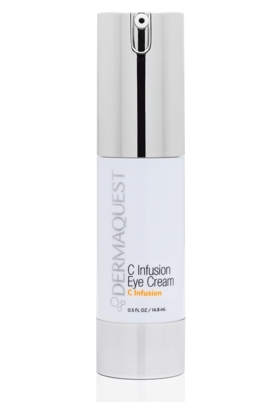 The C Infusion Eye Cream which is specifically developed with orange stem cells and Hyaluronic Acid Filling Spheres™, deeply hydrates and improves your skin’s appearance. The revitalising effects of Eyeliss™ and Matrixyl™ reduce dark circles and increase circulation to the delicate skin under your eye.